BIA AUTONOLEGGIO offers the rental with driver of Mercedes Benz Van Class vehicles in Rome. For work or leisure purposes, for having lots of space in every situation. The vehicle, the latest in its series, has a bright appearance and a welcoming interior for comfortably accommodating 8 passengers and their luggage. The equipment includes fine furnitures for the interior,safety and comfort,all features of all luxury vehicles. Discover BIA Autonoleggio’s crown jewel for your private tours in Rome and in the most famous tourist locations, for transfers to and from the airports or for trips to the city’s hotels and hospitality structures. 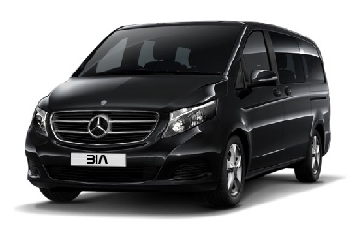 Ask for a quote for the rental of Mercedes-Benz 8 seats Vans, ideal for the transfer of small groups of tourists, large families or working groups in Rome.